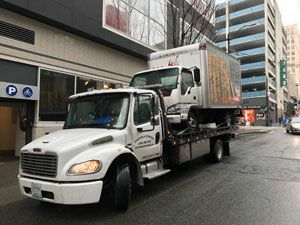 Seattle Towing Company provides fast, dependable medium duty towing services for the Seattle area. Our friendly and knowledgeable dispatchers will send the right tow truck to your location. Our medium duty towing fleet includes both flatbed and conventional tow trucks to ensure that the right tools and equipment are used to tow your vehicle. We are available 24 hours a day, seven days a week to handle your medium duty towing needs. Our box truck towing service is just a phone call away. Our box truck towing experts can help you with any issue you might face from breakdowns to collisions. We are a leading box truck towing company dedicated to getting your box truck back on the road where it belongs. RV and bus towing can present a number of challenges. The size of these vehicles makes it difficult to transport these vehicles without the use of specialized equipment. In addition, it takes skills and experience to perform a damage-free RV and bus towing. Fortunately, we can help you. We provide safe and professional RV and bus towing services. 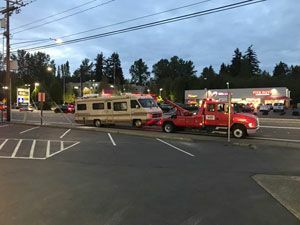 If you would like further information about our RV and bus towing services, please feel free to call Seattle Towing Company at (206) 399-0366 today. 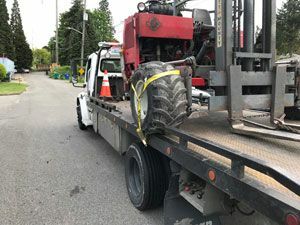 Copyright © 2019 Seattle Towing | All Rights Reserved.